I just love that there live Thee-a-ter. This past weekend CrabCake2 was involved in his high school's production of Fiddler on The Roof. CC2 was one of the pit musicians and played the Reed 1/Flute 1 position; a spot filled with numerous solos. The "pit" is often overlooked in these productions even though the musicians and musical director put in hours and hours of work. They are there for the entirety of the final week of rehearsals. For CrabCake2 this meant 3 to 5 hours a day of playing and rehearsing after school. The results were sensational. Fiddler is a classic play filled with funny jokes, dancing, touching moments and a seemingly endless list of songs you can hum after you've left the theater (unlike modern musicals, e.g. Rent). What was great about Fiddler is that it's the same play that Crabby himself was Stage Manager for back when he was in high school. Decades later, the Crabby family has come full circle theatrically speaking. Great shows never die, they just fall out of fashion. Eventually someone comes to his or her senses and brings a classic back to life. That's my plan for today's recipe. Chocolate pudding made from scratch. In a heavy saucepan, mix together the sugar, cocoa powder and salt. Gradually stir in the warm water to form a smooth, runny paste. While stirring constantly, bring the mixture to a boil over medium heat. Remove from the heat. Stir in 1 3/4 cups half-and-half. In a small measuring cup, mix the cornstarch and remaining 1/4 cup half-and-half. Thoroughly incorporate the cornstarch slurry into the chocolate mixture. Cook, while constantly stirring, over medium heat until the mixture begins to thicken. Reduce the heat to low; stirring briskly, bring to a simmer and cook for an additional minute. Pour the pudding into the bowl or ramekins and press plastic wrap directly onto the pudding surface to prevent a skin from forming. Refrigerate for at least 2 hours and up to 2 days. Serve with whipped cream. 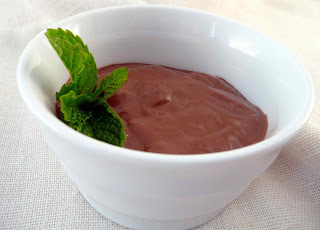 You know, it's hard to beat chocolate pudding. Yes, there's a lot of stirring, but after you've tried this version, you'll never settle for that boxed instant crap again. Well crablings, I'm off, until next time, remember, you can do it, you can cook. "If I were a rich man, budda, budda, biddy, biddy, bum..."
A fantastic evening for you! My daughter is singing on Wednesday evening - I really enjoy their confidence! Gee...that is easy. I'll have to try that sometime. Thanks for the recipe. I sing in the shower. I sing when I drink too much wine. My kids think its punishment when I sing to them. I have a horrid voice. My cousin, the opera singer, tried to give me a lesson,once. She said with a voice like mine, I should take up drinking. I did. She was right. Almost all chocolate dessert go with a fizzy, sweet, red wine from Italy called Brachetto d'Acqui. I have mentioned it before and I do it again, because you cant beat the classics when done properly. Now to go watch the Sunrise, or the Sunset. Sunrise, sunset?! 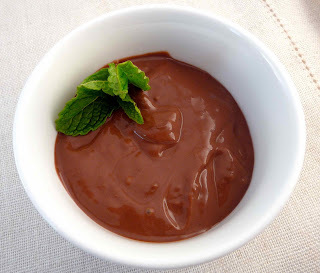 This is by far the best chocolate pudding I have ever made! very well received; as one commented, "this is the pudding that all of the other puddings are trying to taste like"